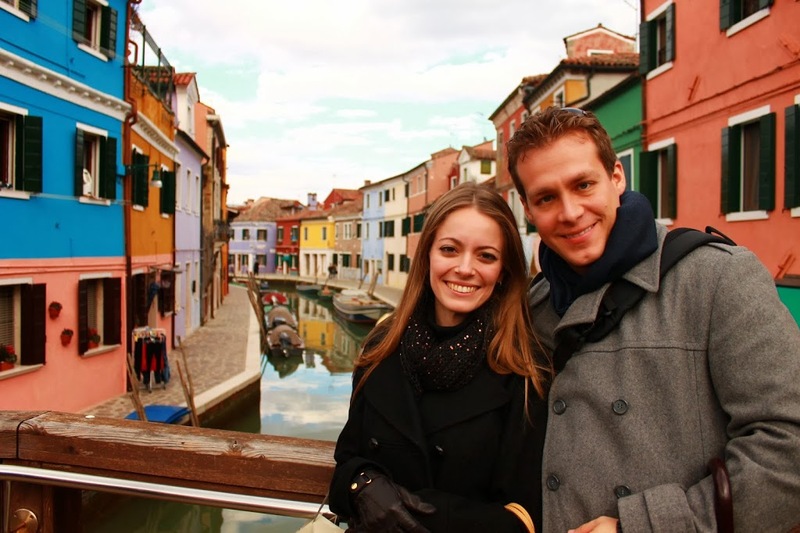 The Saturday we were in Venice we (or, more accurately, I) decided we wanted to go to Murano and Burano, two of the islands close to Venice. I was dead set on buying a Murano ornament and Burano is known for its lace so I figured it would be nice to get something there as well. One of the few times I actually went somewhere with the specific purpose to shop. Murano is very popular, as is the Murano glass, and when I think of Venice, I automatically think of Murano as well. Murano’s glassmaking industry began when the Venetians forced glass artisans to move there in 1291 for fear of fire in the main island. Glassmakers held a high place in Venetian society and for centuries they were known to be the best high-quality glassmakers in all of Europe. Today, the islands population is around 5000 and some of the oldest glass making companies are still around, making glass objects in the same way they used to do hundreds of years ago. Murano statue in the middle of the piazza. If you are looking to buy Murano glass and I mean real Murano glass, not the Made in China stuff, it is not enough to just go into the island and start buying from any of the hundreds of stores that line the streets. 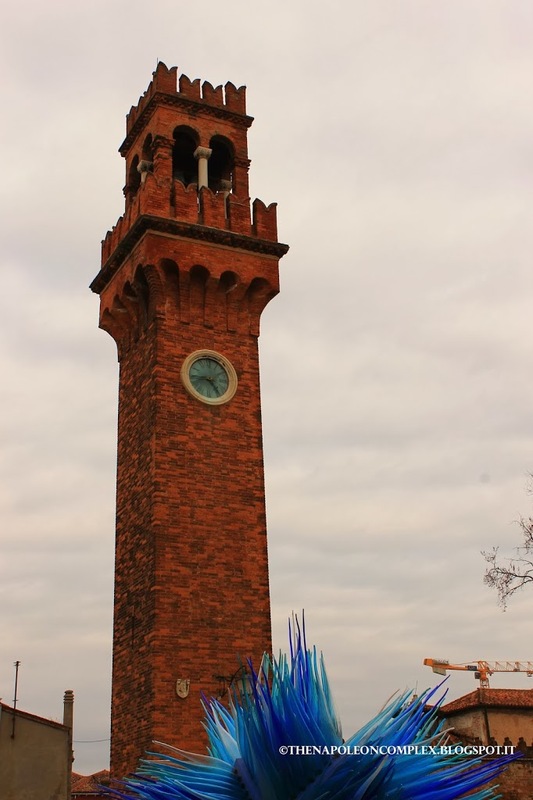 As I found out, Murano glass is protected by the Veneto Region with a “Vetro Artistico Murano” trademark sticker. If it does not have this sticker, IT IS NOT MURANO GLASS, or at least, not guaranteed. I thought this was important because Murano glass is expensive and if you decide to spend money on it, you should make sure it’s the real thing. In Murano, everything has more or less the same price range, from expensive to “my-wallet-is-bleeding” expensive, even if it’s not guaranteed Murano glass. 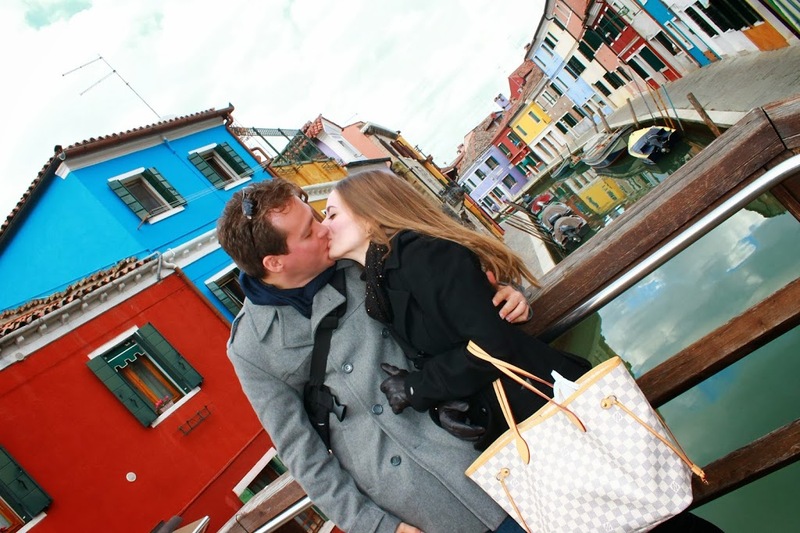 To get to Murano, we took a vaporetto from Piazza San Marco and were there in about 15 minutes. One thing we noticed about vaporetti are that they are so much more reliable than buses in Rome. But maybe that’s because traffic on the water is not the same as traffic on the streets :). 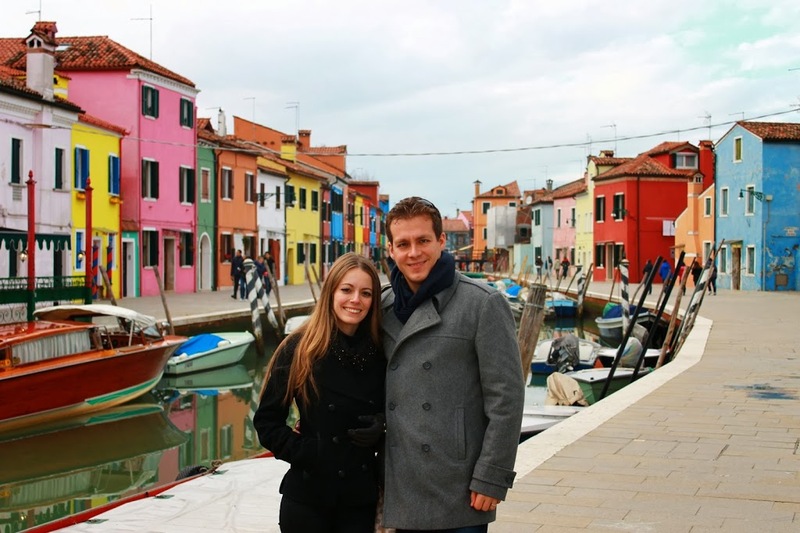 After completing our mission of finding my Murano masterpiece, we headed to Burano. Burano is 7 kilometers from Venice and it wasn’t until after the 40 minute vaporetto ride that we realized exactly how far that was. But it was totally worth it. 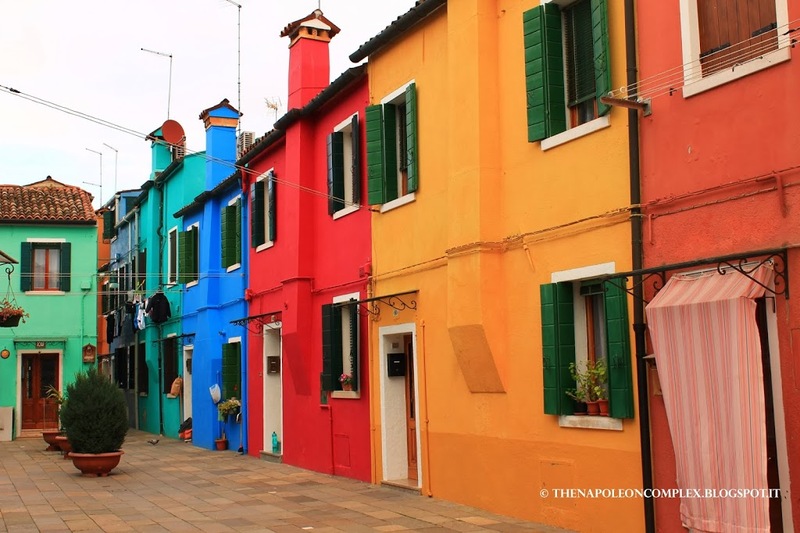 Burano is known for it’s lace, but it is not like Murano, where every street is just shop after shop of glass. Except for a few specific stores, it was mostly just souvenir shops with a few “handmade” lace objects, while every shop had a little old lady threading needles (for the tourists’ benefit, I’m sure). We did end up buying a tablecloth in Burano, but whether it is really handmade as they claim is anyone’s guess. The quality and the details of it are simply outstanding regardless. We offered to take a picture of a couple and they returned the favor. Turns out, the guy was a photographer and was all artistic with a slanted kiss picture. Ended up being Jaime’s favorite picture, even though he’s Mr. OCD-straight-lines-and-centered. 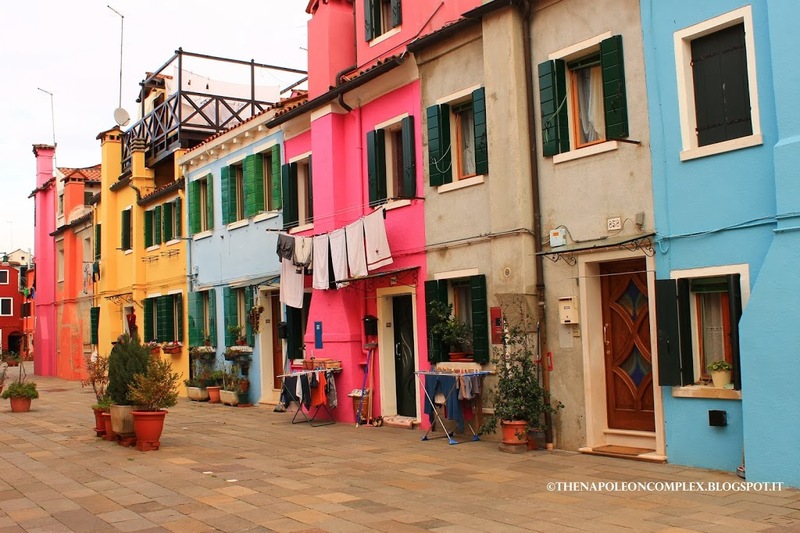 What I loved most about Burano, however, was the island’s colorful homes. Apparently residents must check with the local government whenever they want to paint their homes for acceptable colors for their area. If you’re in Venice for even just a weekend, I highly recommend not just staying in the main island and making a day trip to these two islands. We did both in about 6 hours and that was with us taking our time and including the rather long vaporetti rides. 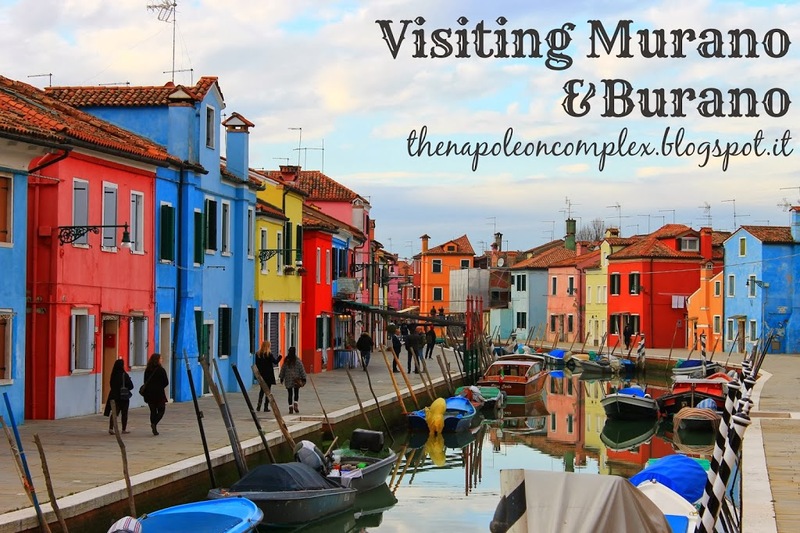 For more information on Murano glass as well as a list of stores in Murano with guaranteed Murano glass, check out the official website here.